Painting time again. 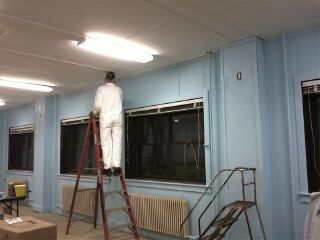 Jules and Tommy put the second coat of sky blue on the walls. 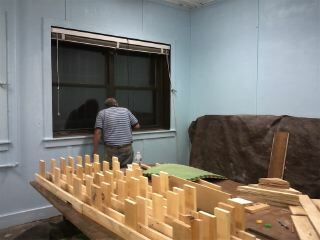 George is working on the window trim. 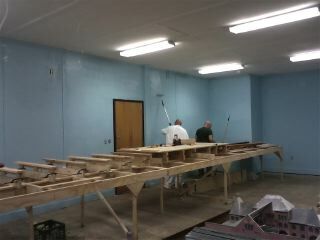 Bob J. is finishing the upper trim.